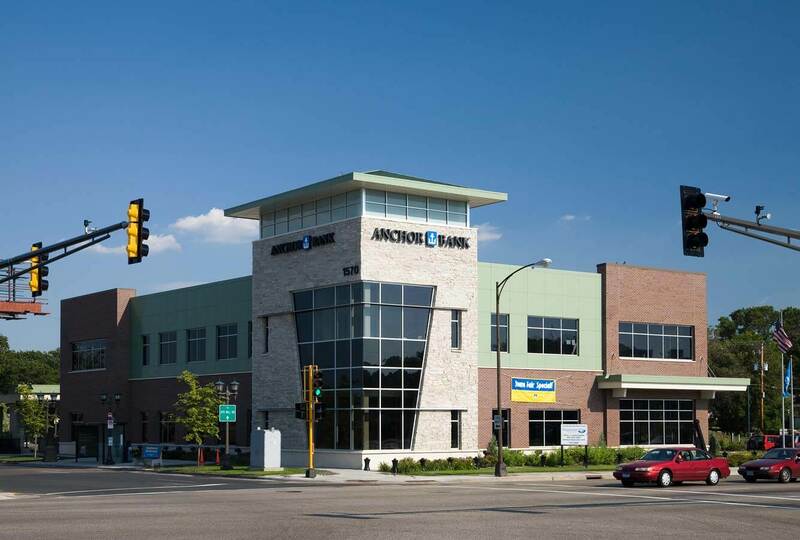 This location, defined by MnDOT as the “busiest intersection in the metro area,” created a number of site challenges. 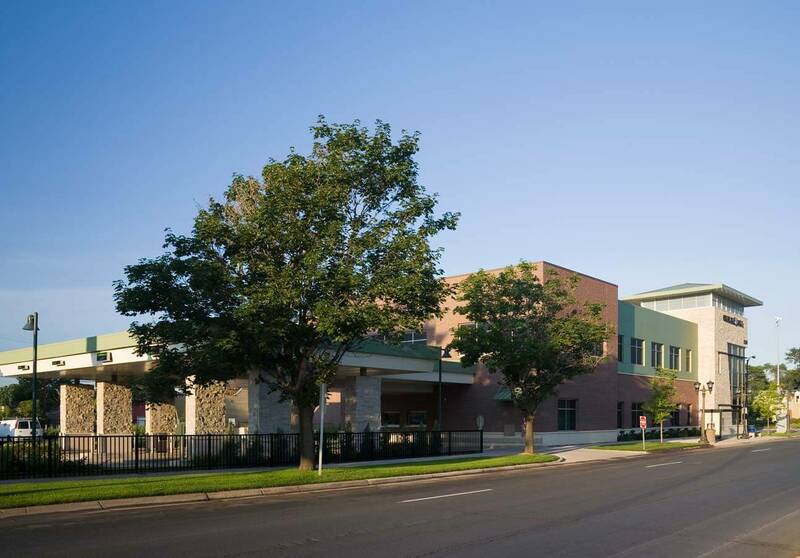 Access issues were contentious and required negotiation with the City and MnDOT. 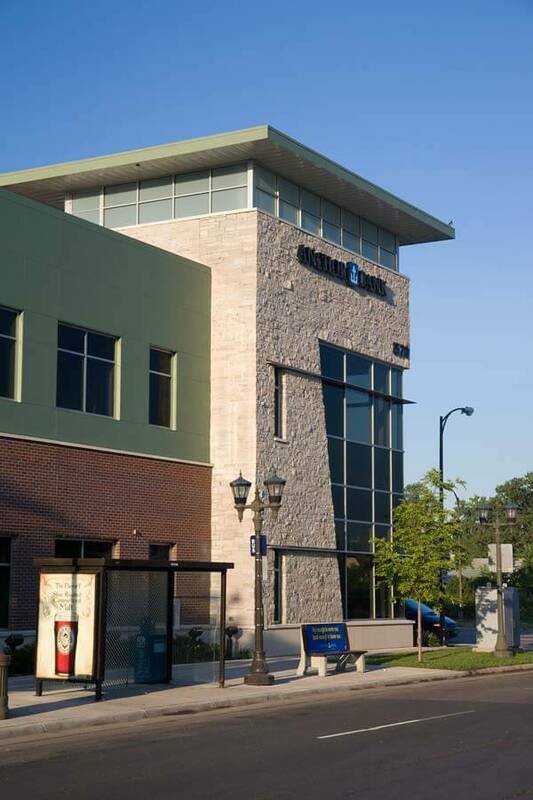 The project also required coordinating the relocation of a privately owned bus shelter, existing electrical boxes, and planning around an existing billboard. 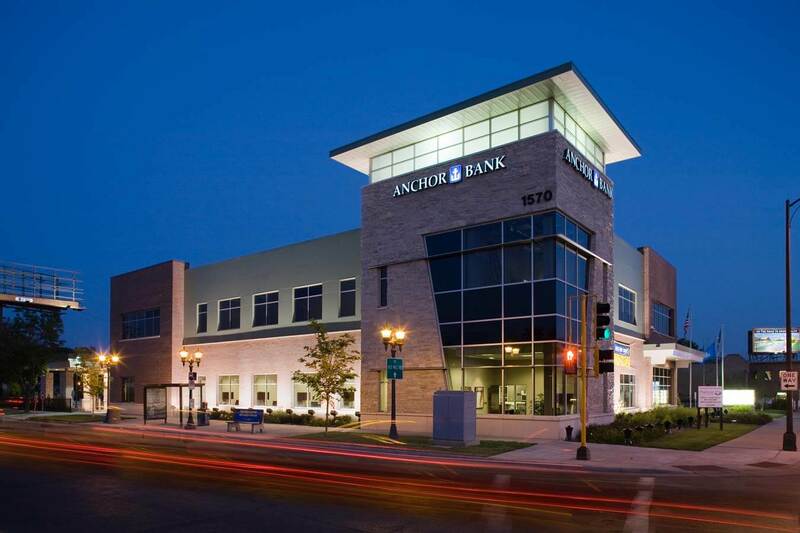 The final result is a design concept that is accessible for businesses and individuals seeking a safe location to do banking. 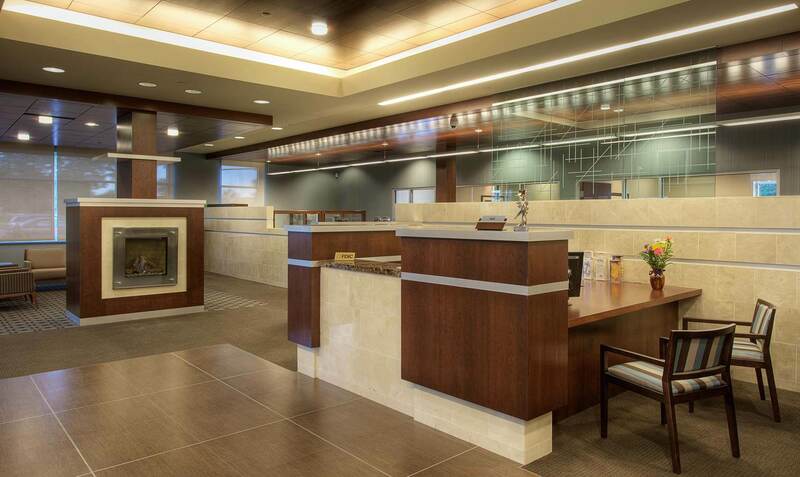 The design concept incorporates an arts and crafts theme which was also carried through to the bank interior. 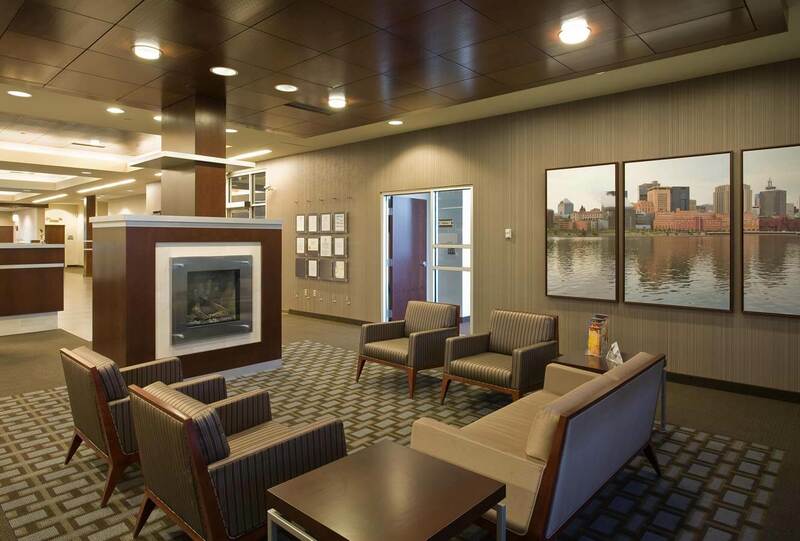 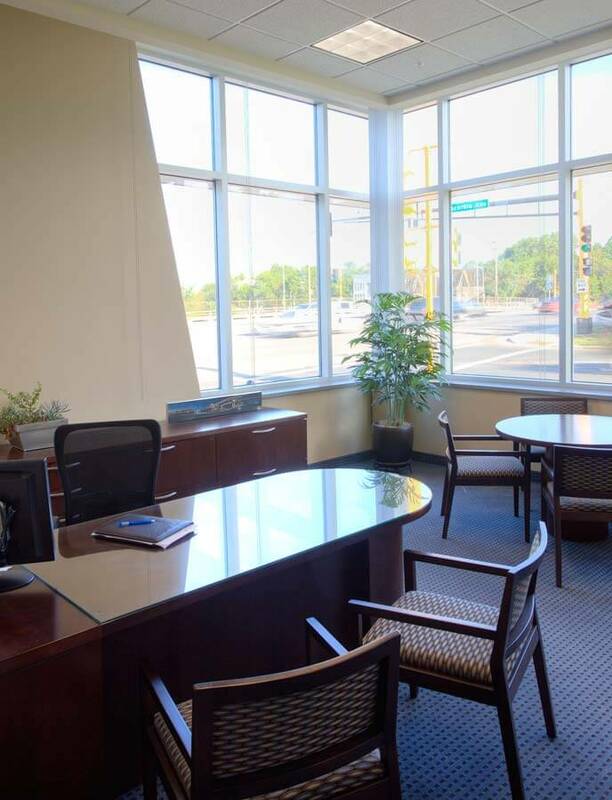 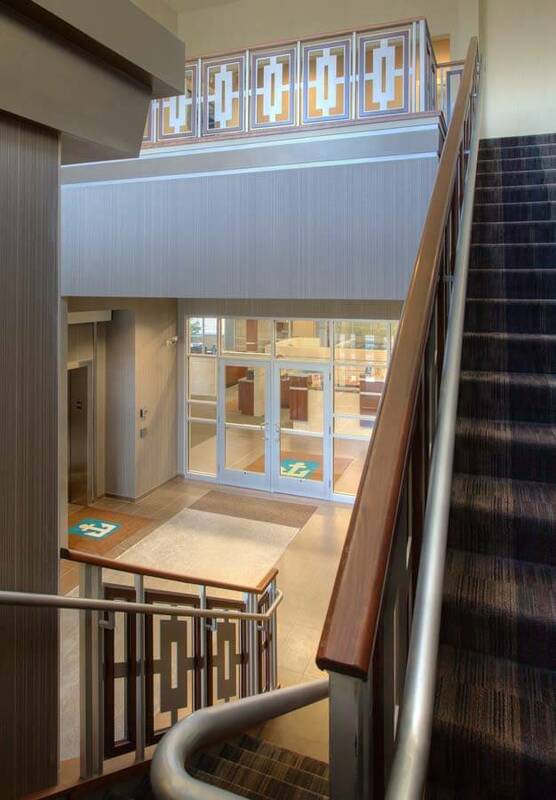 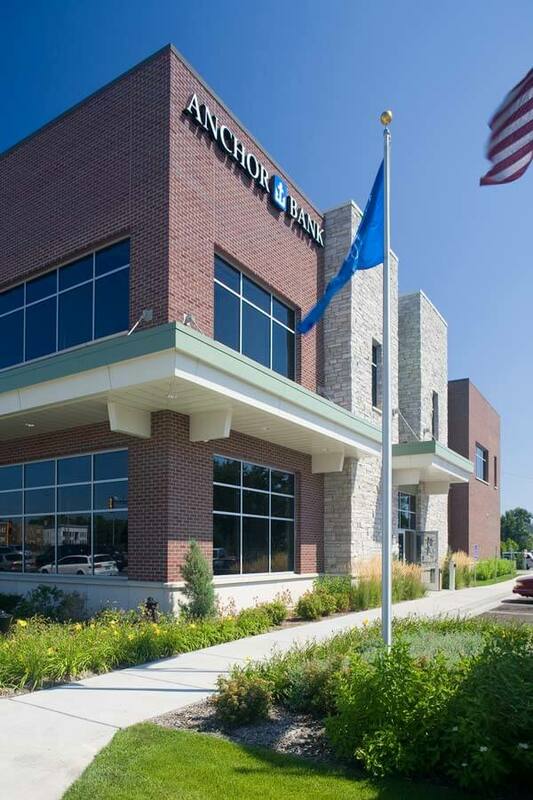 Anchor Bank occupies the first floor of the building while the lower level and second floors are leasable office space and a community room, the majority of which was also designed by Mohagen Hansen.